medium, provided the original wor k is properly cited. we need to be in the future. ing a fee for a diploma for their mediocre medical education”. professional teamwork, self-evaluation, and self-improvement. health care when compared to other countries that spend less. going to control the continuous rising cost of health care. thought worked well for treating back pain, in reality did not. ordinates creating an atmosphere of fear and not learning. In concluding, health care delivery will change in the future. Internal Medicine, European Federation of Internal Medicine (2002). 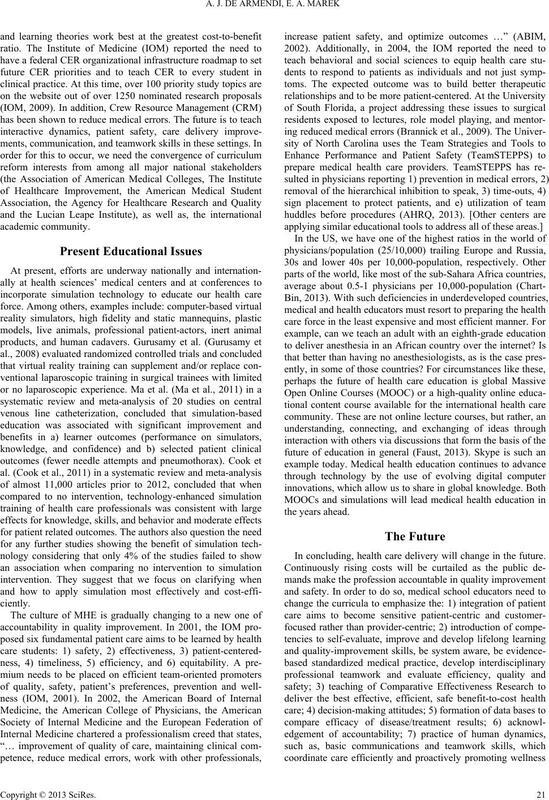 Annals of Internal Medicine, 136, 243-246.
comes Assessment Team (BOAT). URL. Cooke, M., Irby, D. M., Sullivan, W., & Ludmerer, K. M. (2006). England Journal of Medicine, 355, 1339-1344. Faust, D. (2013) The future of education. The view from mast hall. ing. New York: Bulletin Number Four. 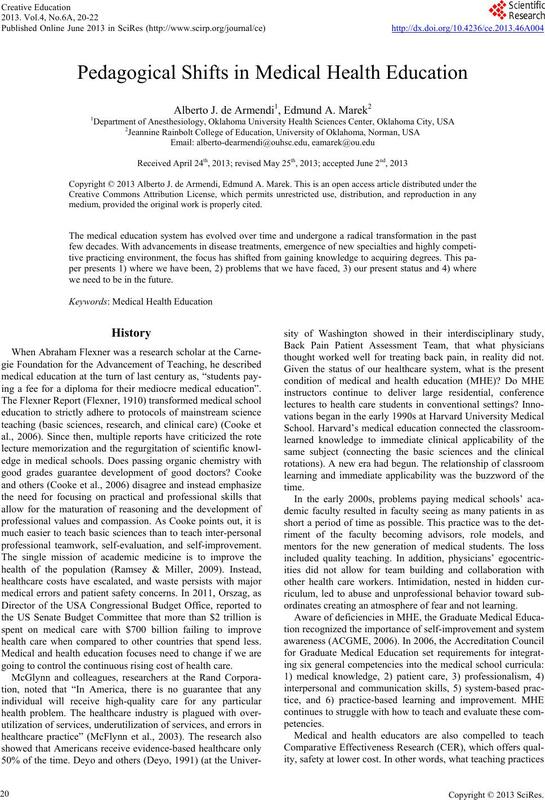 Gurusamy, K., Aggarwal, R., Palanivelu, L., & Davidson, B. R. (2008). 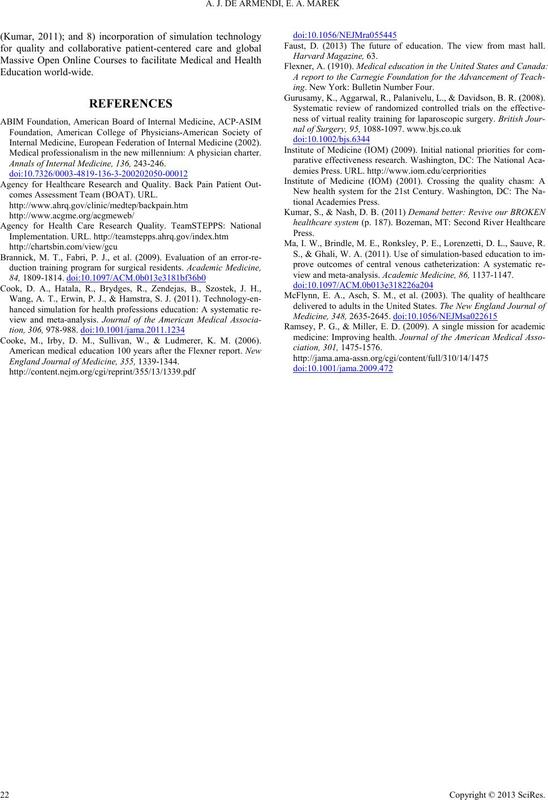 Ma, I. W., Brindle, M. E., Ronksley, P. E., Lorenzetti, D. L., Sauve, R.
view and meta-analysis. Academic Medicine, 86, 1137-1147.